The Time of the Stripes uses the premise of first contact to tell a story about the human tendency to create divisions and persecutions. The story features an ensemble cast with half a dozen point-of-view characters. It’s a lot to take in at first and I was a little bit worried I’d lose track. However, after the initial burst of introductions, the story focused on just a couple at a time and I had no trouble following along. Having a large cast slowed the pace, especially when combined with the novel’s structure. The story is divided into chapters, with each one covering a single day. While it gives a sense of the timescale of events, there are points where things start to drag as everyone waits to see what the aliens’ agenda is. However, this uncertainty also serves to build the tension required for the explosive ending. It gives a good sense of the powder keg Victoryville has become and how quickly things can slide into outright violence. Despite the slower pace, it is ultimately a plot-focused book. The large cast made it difficult to dig deeply into any one character, though each one had their own, varied motivation. I was ultimately left with the feeling of skating across the surface. Josh’s family particularly suffered: after a strong start, they devolved more or less into a mechanism to control Josh’s behaviour. That said, I liked the contrast between Josh and one of the other younger characters, Abbie. Where Josh is focused solely on his own survival and–at best–the survival of those closest to him, Abbie remains stubbornly true to her principles. Although the characters may not have been as nuanced as I’d like, the author nevertheless did a good job of making me care about them (or some of them). The atmosphere of distrust and simmering violence had me concerned for their safety and expecting betrayal at any moment, creating suspense. There was an attempt to do some interesting things with disability, but it ultimately left me feeling uneasy. One of the central antagonists of the story uses a wheelchair and has several disabilities. He also turns out to be a pretty reprehensible person. I have no problem with the disabled being assholes, however, Magnus carried the burden of representation for the severely and multiply disabled on his own. This was especially disappointing, since the story had space for more (and more positive) representations to balance out that character. Unsurprisingly, the narrative is quite dark in places and shows humanity at its worst. The focus is very much on the humans of the story and the aliens never appear onscreen. I thought the ending was quite skillful in the way it offered hope without necessarily softening its views on the fearful divisiveness of humanity. 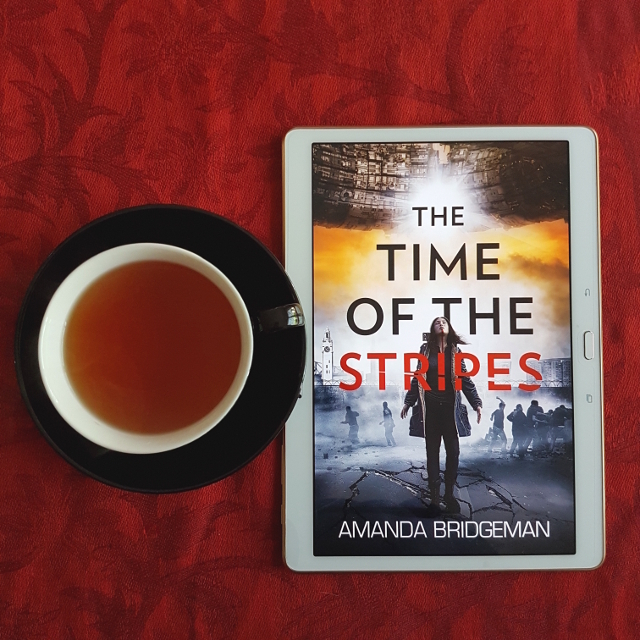 Those looking for a deep character study of human nature are likely to be disappointed, but The Time of the Stripes explores some interesting themes while remaining a suspenseful read.